Cut rolls in half and place cut side down in a sprayed 9-inch round baking pan. Cover with plastic wrap and let rise 30 minutes. 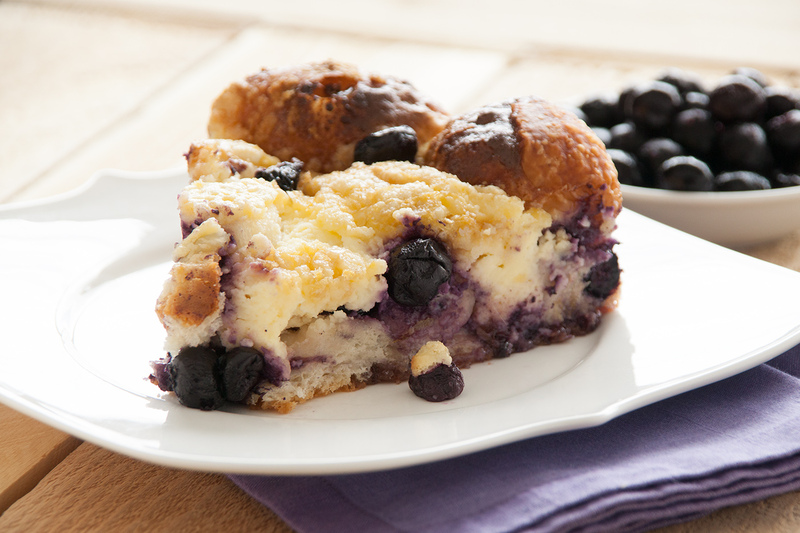 Remove wrap, brush rolls with melted butter and sprinkle with blueberries. Combine softened cream cheese, egg, 2 tablespoons sugar and lemon juice and spread over rolls. Cover with plastic wrap again and let rise until double in size. Remove wrap, place pan on a baking sheet to catch drips and bake at 350 degrees F 20 minutes. Cover with foil to prevent over browning and bake an additional 7-9 minutes. Allow to cool for 10 minutes.